The Next Unlock London Walk will take place on Saturday 27th April 2019. Over the 35 years of EUTP and Unlock walks we have never managed to visit this part of London, so the 2019 walk should offer something new to everyone including the old faithfuls. The area has its own interesting history; there’s an abbey/priory, some important political, royal, and railway history too. You’ll see trams, trains and buses a-plenty, and as well as pounding urban pavements you will cross a National Trust Park, and elsewhere skirt a common. Twice you’ll find yourself walking beside water, though it’s often hidden behind greenery. And there’s a City Farm to visit if you have time. In addition to a special Place of Interest there are seven checkpoint churches reflecting a variety of traditions and with some exciting approaches to ministry in the community. These include such enterprises as regular Christian Theatre, provision of laundry and shower facilities, and offering catering training to local college students. Additional printed materials can be requested from the Unlock Office (office@unlock-urban.org.uk) In order for materials to reach you in time for the events requests must be received by Monday April 22nd at the latest please. We were origainally planning to be in Thamesmead in 2019, to mark the opening of Crossrail but since the announcement on August 31st of the delays in the Crossrail project we have decided that the 2019 London walk, On April 27th, will be in Merton, Morden and Wimbledon and then the 2020 walk will be in Thamesmead on April 25th _ Crossrail permitting! You can now collect your sponsorship or make a donation on line via Virgin Giving. We are very grateful to all those who support Unlock through our London walk. Your contributions make our work possible. As well as raising up to 50% of the money that we need to fund our work each year, our sponsored walk is intended to raise the awareness of Christians from often more affluent areas of the UK to the potential (and the challeneges) of ministry in urban locations. The walk's circular route visits several church checkpoints, representing a variety of denominations. Members of each church community are encouraged to be available to welcome walkers and a factsheet is provided. We hope that as a result of each walk, practical links will be forged between urban and suburban churches. Well done everyone and thank you very much for your support. 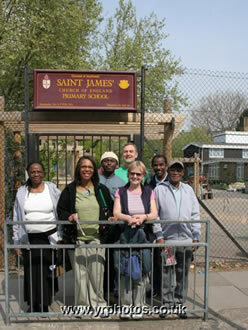 Your faithful support enables us to continue to develop our work with the Bible in urban communities in the UK. Thanks to everyone who walked, helped, sponsored walkers, opened their churches, and so on. It is really encouraging to have such committed and generous supporters! In 2O15 we have reached a total of £26,596. In 2013 you raised £26,303. In 2012 you raised £25,800. 2010 (27th) walk income £26k. Volunteers are needed to represent Unlock at the churches on the route of the Unlock walk on Saturday the 27th of April 2019. Volunteers will be fully briefed and provided with an Unlock staff T shirt. You can still be sponsored for the hours you spend staffing the walk. If you would like to support Unlock in this way please contact the Unlock national office. Here is a list of church groups who have sent in their sponsorship for the 2018 walk, listed in order of the amount raised. Again a big thank you to everyone, whether you are on this list or not, and to the walk leaders who work hard at recruiting walkers to raise sponsorship. We value every single contribution however small, all combining to maintain and develop our work. Several walkers commented that they found the walk experience humbling and that the checkpoint churches had inspiring and uplifting stories. One walker, inspired by how lovely the people were at every checkpoint commented “The church is no longer just the steeple – but the people”. 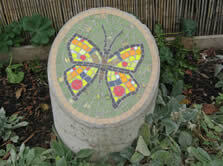 It was also good for people to see the changes in Broadwater Farm since the 21st walk took us there in 2004. Please note that the churches on the walk route write their own factsheets, so their views are not necessarily representative of Unlock's views, but they do reflect the rich variety of ways in which people live out their faith and ministry in urban communities. 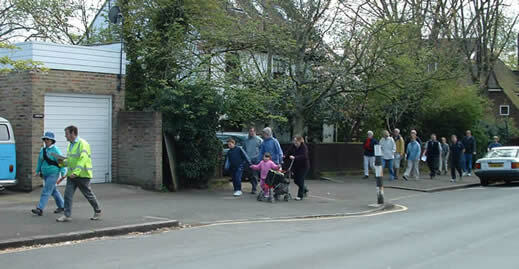 The majority of Unlock's Funding is raised by an annual sponsored walk held in London each spring. These started in 1983 and have taken place every year since. Each year they raise thousands of pounds for Unlock's work. Anything from 600 to 800 walkers take part. The route usually includes urban churches and religious centres, a range of urban landscapes and housing, heritage locations and places of interest, places of rest and refreshment, and a place where walkers can encounter some of Unlock's work. 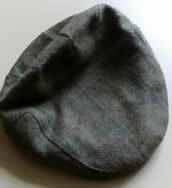 3 Unlock promoters - people who will promote Unlock's work in thier churches and encourage support. church walk leaders - recruit and co-ordinate a group of walkers from their own church(es) and liaise with the national office on their behalf. The 35th Unlock London Walk took place on Saturday 28th April 2018 in Tottenham. The 35thUnlock London Walk, 28th April 2018. 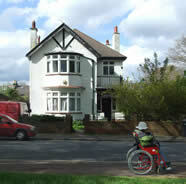 The 2018 London Walk revisited a corner of north west London which was on the 21st Walk ‘Palace and Peacemakers’. 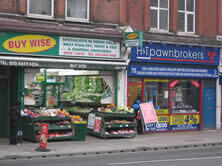 Fourteen years later much has changed and much has stayed the same in Tottenham. Our 7½ mile route around Bruce Grove, Tottenham Hale, the High Road, Seven Sisters and West Green will go along a canal towpath and an old Roman Road, several green parks as well as by a retail park, and past interesting buildings old, new and in-between. The very new includes the site of a skyscraper planned for Hale Village and a world class football stadium being built by Tottenham Hotspur. The very old includes a 12th century church and 16th century manor house. The churches we visited before are still going strong but will are going to new ones (except one which is now in a different location); two of the churches we’re visiting this time are very new. One is the first new build Church of England church in London for 40 years, ‘St Francis at the Engine Room’ in the Hale Village development. We heard about the dream/vision for the other new church, when we visited the big Broadwater Farm Estate and its community centre in 2004. Since then prayer and perseverance has led to ‘Church on the Farm’ in the heart of the estate. I remember Bishop Peter Hall (Unlock’s former chairperson) telling me in the run up to the 21st London Walk how impressed he was by how the churches in Tottenham work together and that the leaders knew each other well. It meant a lot from Bishop Peter who visited many churches and planned lots of Unlock Walks. As I have been putting together this coming London Walk, I too have been encouraged and inspired by the churches in Tottenham. Hope you will be too. Come on the 35th London Unlock Walk – Saturday 28th April 2018. Over 700 people took part in the 34th Unlock London Walk in and around Clapham & Battersea on Saturday April 29th 2017. Congratulations to Stephen Rawlinson of Belvedere who had a full set of correct answers to the 2017 walk quiz. The Unlock checkpoint was relocated to St Mark’s instead of Battersea Central Methodist Mission, due to their building work not being completed in time. The answer to quiz question 20 was also moved to St Mark’s i.e. between questions 4 & 5. The 2017 London Walk on 29th April will not be starting at Llanfihangel-y-pennant, although it might be argued that’s where the story started, nor will it be 26 miles long and we don’t expect anyone to do it barefoot! 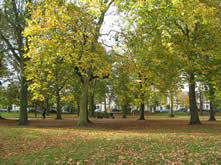 We shall in fact be walking in Battersea and Clapham, and part of the walk takes us across Clapham Common. We shall see both signs of prosperity and indications of poverty. Checkpoint churches will include two flourishing Anglican churches with rather different ministries and at least one small mission church, each one seeking to serve the needs of differing communities in the area. There’s older social housing contrasting with newer high rise developments. There are two interesting old town centres in Clapham and Battersea to enjoy, and the possibility of a stretch along the Thames. The many railway tracks in the area pass through the throat of Clapham Junction which, with more than 2000 trains a day, is Britain’s busiest train station. So what is the Welsh connection? Mary Jones (16 December 1784– 28 December1864) was a Welsh girl who, who lived at Llanfihangel-y-pennant, Abergynolwyn, at the foot of Cader Idrisnear Dolgellau. At the age of fifteen, Mary walked twenty-six miles barefoot across the countryside to buy a copy of the Welsh Bible from Thomas Charlesin Bala because she did not have one. The story ofMary Jones and her Bibleinspired the founding of the British and Foreign Bible Society and Unlock’s partnership with the Bible Society has been crucial to our work and development in recent years. The Clapham Sect, or‘Clapham Saints’; including Thomas, Charles and William Wilberforce;were a group of Church of England social reformers based in Clapham, London at the beginning of the 19th century (active c. 1790–1830). They are credited with the founding of, amongst other organisations, The British and Foreign Bible Society. The plan is that, as well as one of the churches on the walk route showcasing Unlock’s work as usual, another will showcase the work of our valuable partners, the Bible Society. The 33rd Unlock London Walk took place in fine weather on Saturday April 23rd 2016 with at least 725 walkers. 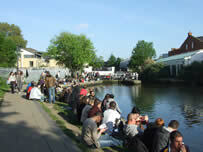 In 2010 the Unlock Walk was in the Stratford area of East London. Part of the route ran along the Greenway from where walkers had a view of the construction work going on in preparation for the 2012 Olympic Games. In 2016 the Walk returns to what is now the Queen Elizabeth Olympic Park. There’s still a great deal of construction work going on in the area. The Park is open, but not all the features and facilities are yet complete. People are now living in the former athletes’ village, and the building of “legacy” housing continues. At the moment access to the southern edge of the park is restricted by Crossrail works. There’s lots to see in the Park, and the 2016 walk will cross it twice, linking churches in Stratford and Hackney. Within the route (but not on it!) will be Westfield and what is, by size, the largest urban shopping centre in the European Union. Stratford is now a huge transport hub, with three bus terminals and three stations including Stratford International. The 32nd Unlock London - Peter Hall Tribute - Walk took place on April 25th 2015. The 2015 London Walk is being planned as a tribute to Bishop Peter Hall, and so we are returning to Bermondsey, Lewisham and Deptford which were part of his patch when he served as Bishop of Woolwich. The walk will be linear, very roughly an elongated Z shape, with the ends connected by the 47 bus route which also serves various points along the way. The walk route takes us across lock gates, through a riverside farm and by lots of green places. We pass through some imaginative redevelopment in the Rotherhithe docks area, and there’s water and views as we follow part of the Thames Path. Some of the checkpoints are ones we have used on earlier walks; others are new this time, such as the Norwegian Church with which Peter had warm relations. The 31st Unlock London Walk took place in ideal weather in the Camden/Kentish Town area on May 3rd 2014. it's difficult to be certain of numbers but staff counted 777 walkers which is an impressive turnout. The 31st. Annual Walk is back in north central London, once again made use of the Grand Union Canal, different parts of which have featured in many of our walks. We will visit a church which is almost on the canal, and in 1989 was a stop on the only linear (as opposed to circular) walk we have ever done. So limber up, you walk veterans who remember that year, and bring some new walkers with you. 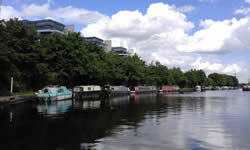 It will be a circular route as usual, taking in the popular Camden Lock, Primrose Hill, and two famous prisons. For the first time at one stop we will be hosted by the Lutherans – the Luther Tyndale Memorial Church. Tyndale is one of the Bible martyrs we remembered on the walk we did in 2011. The 30th Unlock London Walk took place on the 20th of April 2013. 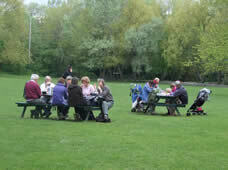 Around 700 walkers enjoyed a day of bright sunshine and gentle breezes to walk 7.5 miles around Eltham visiting parks, residential areas and shopping streets and 7 varied churches on their way. Unlock London Walk No.30, Eltham, South -East London. Walk No. 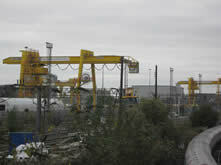 30 is in exactly the opposite side of London from our very wet 2012 visit to Willesden. We are going to Eltham, in the Royal Borough of Greenwich. It has huge contrasts. We will pass a former royal palace, which you can see from its bridge over the moat. We will walk through very extensive between- the- wars council estates, human-sized, but with the same social problems as the tower block era. We will be alongside a massive controversial regeneration scheme in what was the much-hyped, but finally notorious, post- war Ferrier Estate, (named for reasons unknown to me after a world famous contralto from my home town of Blackburn!) We will pass the paving stone in memory of the teen-ager Stephen Lawrence, whose tragic death and its aftermath has had such an impact on the attitudes of our police. 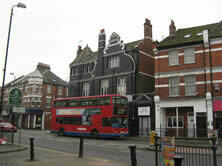 There will be a connection with our last walk, where Sir Thomas More went on pilgrimage to Our Lady of Willesden. He often went to Eltham Palace, and his favorite daughter, Margaret Roper, had a house nearby, now a historic popular venue called the Tudor Barn, which we shall visit. After Willesden, the law of averages should give us a dry day! Around 600 cheerful and faithful Unlock supporters turned out in wet weather to support the 29th Unlock London Walk, which took place in Willesden on Saturday the 28th of April 2012. Thanks to our committed supporters the 2012 Unlock walk income has reached £25,400 - in spite of the rain! Thank you everyone. In 2011 you raised £28,000 by the middle of October. We visited new territory in 2012 in north-west London. Willesden was an ancient Anglo-Saxon village, known then as Willesdune, or Wellesdone in the Domesday Book, meaning “The hill of the spring”. It all sounds very romantic, and was indeed a rural village until the coming of the railways. Today there is little to remind us of Willesdune, but a great deal of the 21st century with its global migrations. The churches reflect that cosmopolitan mix which is London today, but there is one that connects us with its early history. You may recognise many a name that begins with “Our Lady of...”, but I will be surprised if you know about “Our Lady of Willesden”! But that is the name of a Roman Catholic church and shrine which is likely to be one of the host churches on the walk. During the 14th-16th centuries, it was a very popular shrine much visited by pilgrims, until it was despoiled during the Reformation troubles featured in our 2011 walk about the King James Bible. Other host churches will include Pentecostals, an Elim bi-lingual group, and an inter-faith, ecumenical centre. Yet again the churches will reveal to walkers the astonishing ways that Christians in a changing urban world respond to Christ’s call. The 2010 (27th) Unlock London Walk, 'Twin Stories', took place on April 24th 2010. Unlock walkers outside St Paul's Church. Over 700 people supported Unlock's work by taking part in the (24th) Unlock London Walk, which took place on Saturday the 21st of April 2007 in Bermondsey and the Isle of Dogs. 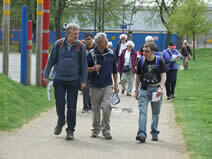 This is one of 80 photographs of the 24th Unlock London walk, taken by Yorke Rodda. The 24th London Walk was in memory of Basil Cracknell, the originator of the Unlock London Walk who died in March 2006. Unlock T shirts & Baseball caps are available from the Unlock Office. Photos by Andrew West, Tim Watkins-Idle, Steven Lonsdale, & Mike Blanchard. 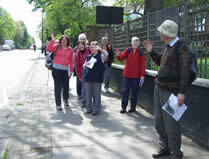 The 24th walk was a return visit to the route of the 1st Unlock London walk, in Bermondsey and the Isle of Dogs. Photos by Benjamin Lonsdale and Andrew West.